Persian Toad-Headed Lizard (Phrynocephalus persicus De Filippi, 1863) is a small creature which is grow up to 12 cm with a tail. 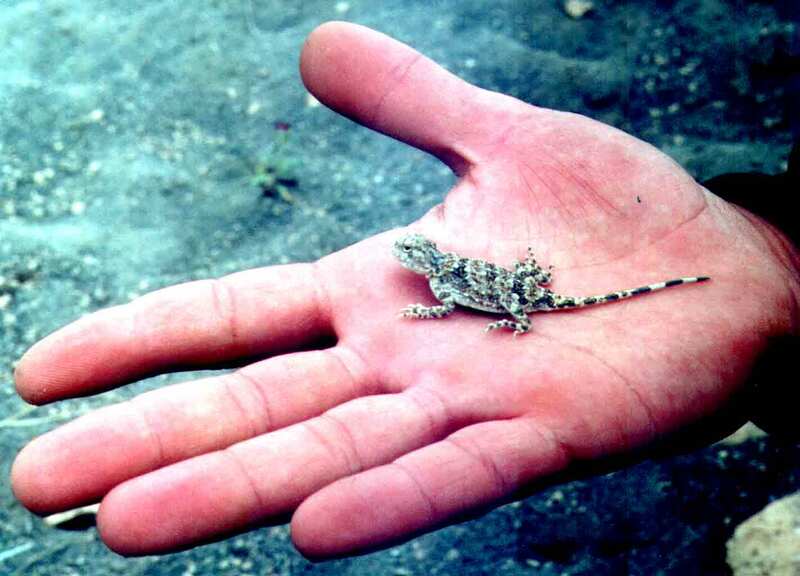 This agamid lizard is the most westward spread taxon of the central Asian genus of toad-headed lizards (Phrynocephalus Kaup, 1825). Geographical distribution range of P. persicus covers semideserts in valleys of S-W and S tributaries of the Caspian sea and Urmiye Lake basin, within the boundaries of Armenia, Azerbaijan, Iran and Turkey. Lowlands, where situated habitats of P. persicus are extensively and dense settled up by human. As a result of the multilateral land use the most part of natural habitats of this lizard were destroyed and currently P. persicus survived only in some isolated islets of semideserts, surrounded by the large areas of reclaimed and urban lands. Reclaimed lands are usually unsuitable for this lizard. Because of small body sizes, relatively low agility and attractive exterior, P. persicus often become a prey to diverse wild and domestic animals, as well as of lizard hunters and reptile keepers. Overgrazing can lead to death of nests and baby lizards. The general goal of the program is to initiate studies and other activities to promote conservation and survival of endangered Persian toad-headed lizard and it's habitats. 1. To initiate scientific studies to determine conservation status, to clarify distribution range, habitat requirements, and threats of P. persicus. 2. To provide necessary information about P. persicus to decision makers, conservation bodies and other stakeholders. 3. To promote public awareness regarding importance of the conservation of P. persicus, as the part of wildlife. 4. To rise funds for support of conservation projects targeted at P. persicus. You are also welcome !! !